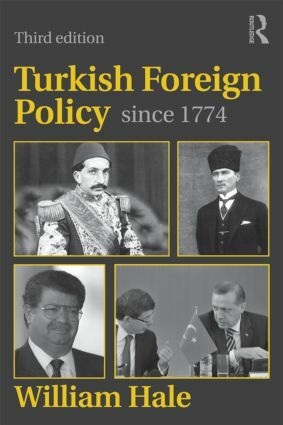 This revised and updated version of William Hale’s Turkish Foreign Policy 1774-2000 offers a comprehensive and analytical survey of Turkish foreign policy since the last quarter of the eighteenth century, when the Turks’ relations with the rest of the world entered their most critical phase. In recent years Turkey’s international role has changed and expanded dramatically, and the new edition revisits the chapters and topics covered in light of these changes. Drawing on newly available information and ideas, the author carefully alters the earlier historical narrative while preserving the clarity and accessibility of the original. Combining the long historical perspective with a detailed survey and analysis of the most recent developments, this book fills a clear gap in the literature on Turkey’s modern history. For readers with a broader interest in international history, it also offers a crucial example of how a medium sized power has acted in the international environment.